Roof trusses are used in many applications such as new construction or add on additions. Roof trusses can save up to 25% in construction time and labor costs. Anderson Truss Company is capable of producing almost any truss profile up to 75 feet long and 14 feet wide. 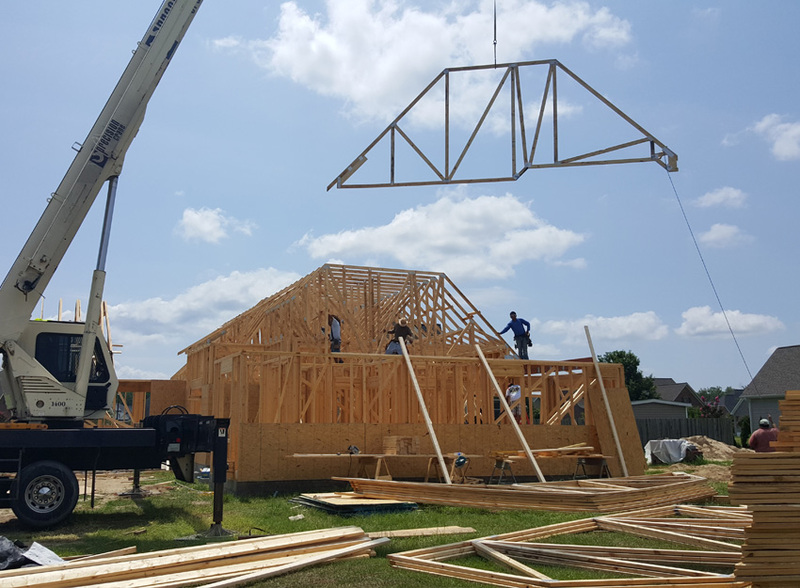 With the best equipment in the business, you can be assured your trusses will be designed, engineered and built right the first time. Based on your home’s design, Anderson Truss Company will design and manufacture your custom truss system using your exact specifications. Many new commercial buildings and multi dwelling residential projects require custom, complex roof systems. Our design team will work with you to meet your needs. We can provide truss systems built to your exact specifications with clear-spans for free stall barns, machine sheds and other pole buildings.